Two weeks ago, Justice Anthony Kennedy represented what many of the left have called the evolving national opinion on gay “rights” when he wrote the majority opinion striking down the federal Defense of Marriage Act. While the DOMA decision, the Proposition 8 case and the Shelby County voting rights case have dominated the headlines, the U.S. Supreme Court also quietly (at least by media hits) issued another ruling showing that perhaps the Court is evolving in another area – property rights. In 2005, the Court ruled in Kelo v. City of New London that private property could be taken in favor of economic development as a “public use” under the takings clause of the Fifth Amendment. The decision garnered immediate backlash and caused many to consider the ramifications of government control over private property (outside of their own property taxes) for the first time. 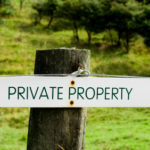 Since that time, there is evidence that in takings, and other property rights cases, the Court is showing greater respect for private property rights. While property rights advocates have found reason for optimism in recent years, federal, state and local governments have not abandoned their extortion schemes. Perhaps history books will one day show Kelo as the high-water mark for government extortion of private property. Just last year, in Sackett v. Environmental Protection Agency, the Supreme Court unanimously rebuked the EPA for abusing its authority in seeking to fine an Idaho couple $75,000 per day for an alleged Clean Water Act violation without a judicial hearing on the merits. Then last December, the Court ruled that when the government floods property – even if only temporarily – that constitutes a taking of property that must be compensated. Again, the Court unanimously ruled against the federal government and the Obama Administration in favor of the property owner. And, now, the Court has issued perhaps its most stinging rebuke of governmental extortion of private property in Koontz v. St. Johns River Water Management District. The case began nearly 20 years ago when Coy Koontz, Sr. hoped to fill and develop a small portion of his 14.9-acre Florida property. He applied for the proper permits and – since some of the area contained wetlands – he offered to put about 75 percent of the property up for a conservation easement, a considerable concession. Yet this was not enough for zealous Floridian authorities. They countered that Koontz could only develop less than an acre (about five percent) of his land if he gave the state the remaining 95 percent. Alternatively, he could pay hefty sums to improve some state-owned land several miles from his plot. Koontz sued, arguing that the state’s two options (forfeit nearly all his land or improve distant property) amounted to a taking without just compensation. While he won at the trail and appellate levels, the Florida Supreme Court held that the state’s demand for money was not an impermissible taking. On June 25, Justice Samuel Alito, writing for the majority of the Court, corrected this 19-year injustice and ruled that the Koontz family was indeed the victim of an unconstitutional taking. Justice Alito correctly ruled that the Court’s prior precedent concerning land use permit approval was applicable in Koontz, even though the state denied the permit. The Court previously ruled in Nollan v. California Coastal Commission and Dolan v. City of Tigard that the government could not condition approval of a land permit on the owner relinquishing his property unless there was a “nexus” and a “rough proportionality” between the government’s demand and the effects of the proposed land use. In the Koontz case, state authorities argued that since they did not actually issue the permits as the governments had in Nollan and Dolan those cases were not controlling. The fulcrum this case turns on is the direct link between the government’s demand and a specific parcel of real property. Because of that direct link, this case implicates the central concern of Nollan and Dolan: the risk that the government may use its substantial power and discretion in land-use permitting to pursue governmental ends that lack an essential nexus and rough proportionality to the effects of the proposed new use of the specific property at issue, thereby diminishing without justification the value of the property. Extortionate demands for property in the land-use permitting context run afoul of the Takings Clause not because they take property but because they impermissibly burden the right not to have property taken without just compensation. As in other unconstitutional conditions cases in which someone refuses to cede a constitutional right in the face of coercive pressure, the impermissible denial of a governmental benefit is a constitutionally cognizable injury. The private property rights community cheered the decision, but the media’s Grey Lady predictably jeered. I must have missed that class when I was in law school. The Pacific Legal Foundation argued the Koontz case before the U.S. Supreme Court and deserves kudos for a job well done. After the oral arguments this past January, the National Center hosted a luncheon for Jim Burling, a member of PLF’s winning legal team, where he spoke to Capitol Hill leaders about the importance of preserving private property rights in the face of hostile local, state and federal bodies who seek to limit progress and restrict the American people. The New York Times is upset, the Koontz family is vindicated and the Supreme Court is evolving on private property rights. That’s a Court decision worthy of our attention.